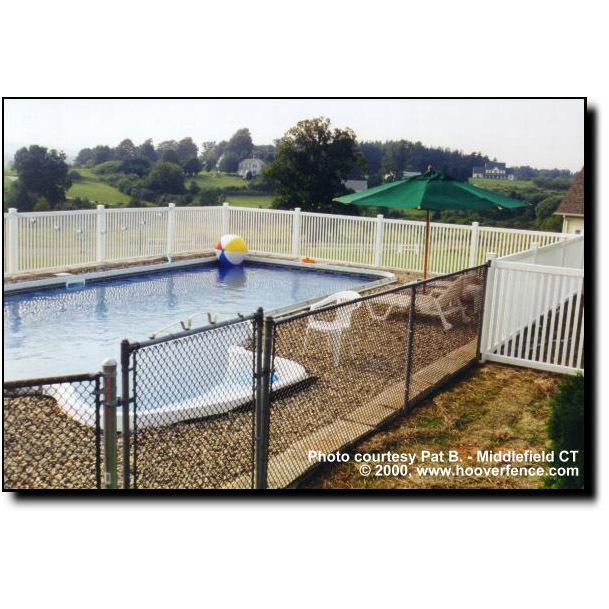 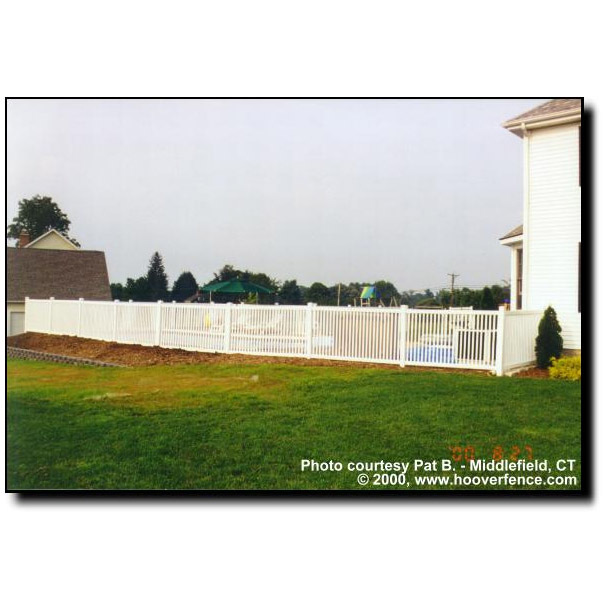 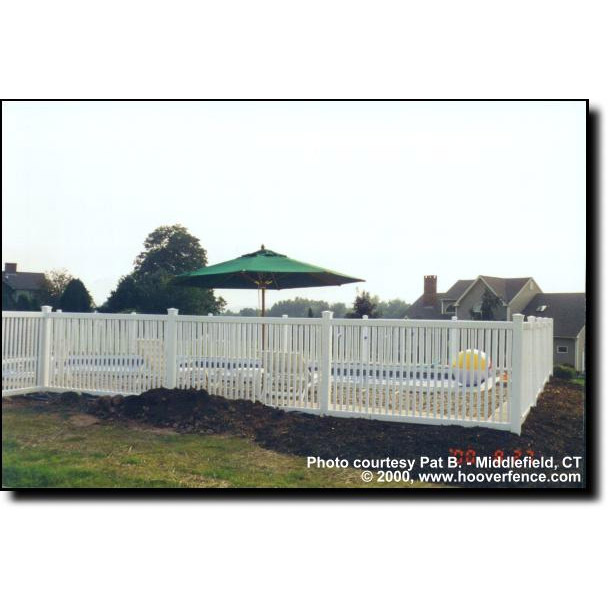 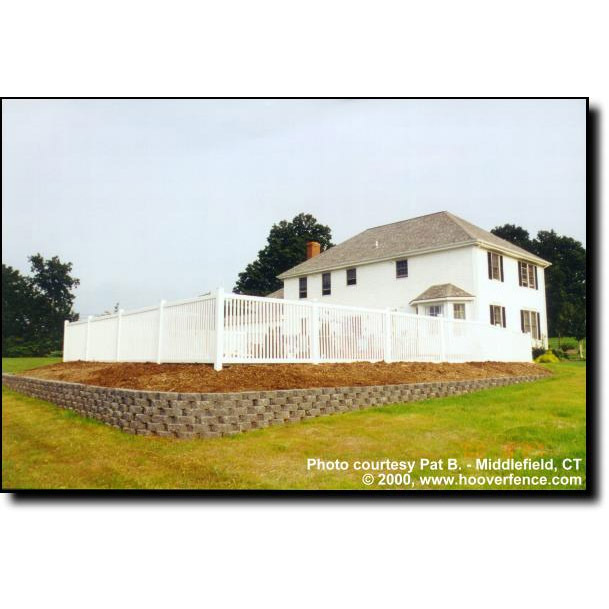 Bufftech Princeton Vinyl Fence Sections | Hoover Fence Co. 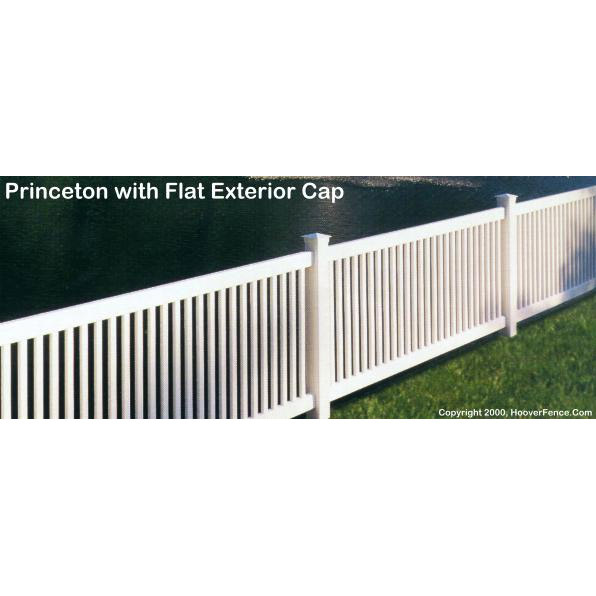 The Princeton is a contemporary style vinyl fence using 7/8" thick x 1-1/2" wide pickets. 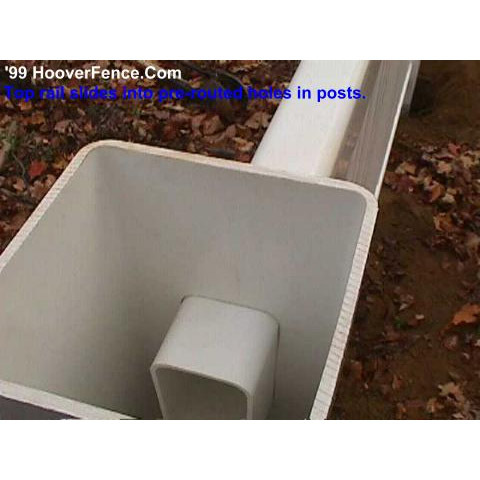 It has a steel reinforcing rail that fits inside the bottom vinyl rail for added strength. 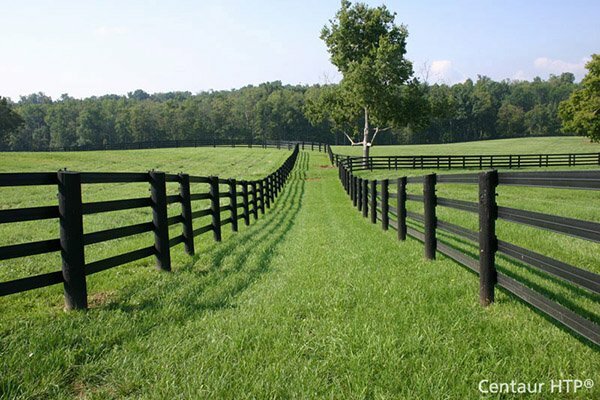 Sections are 8' wide. 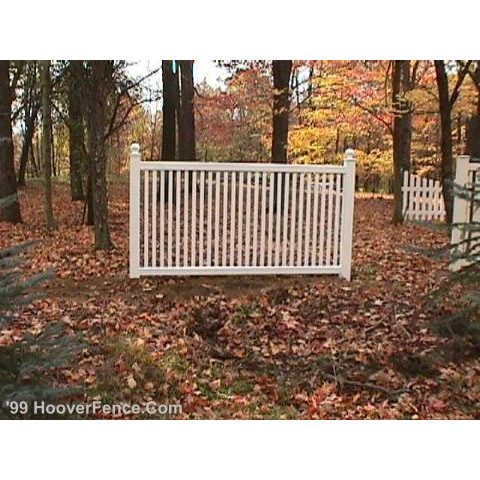 Available in 4', 5' and 6' heights. 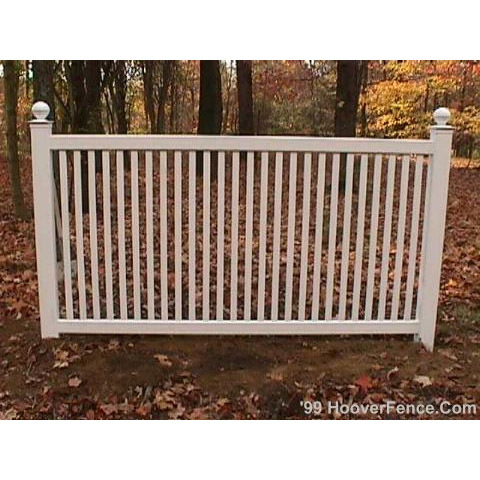 The 5' and 6' heights have three rails while the 4' height has a top and bottom rail only. 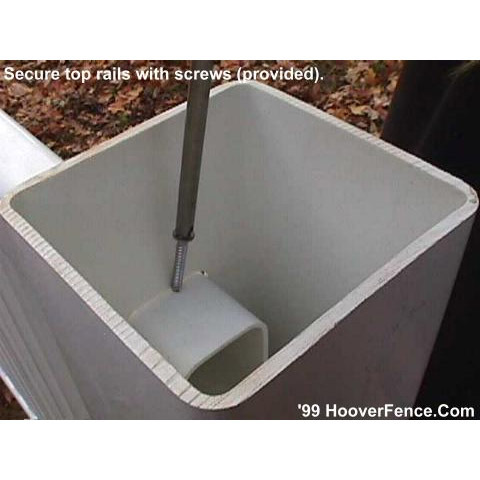 The rails measure 1-3/4" x 3-1/2". 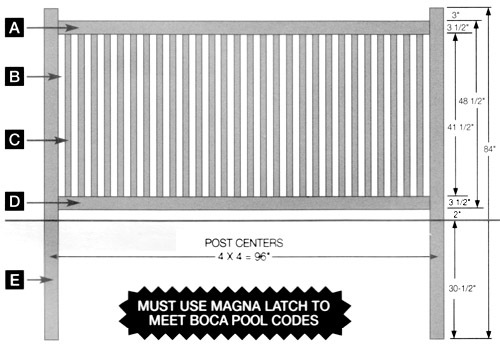 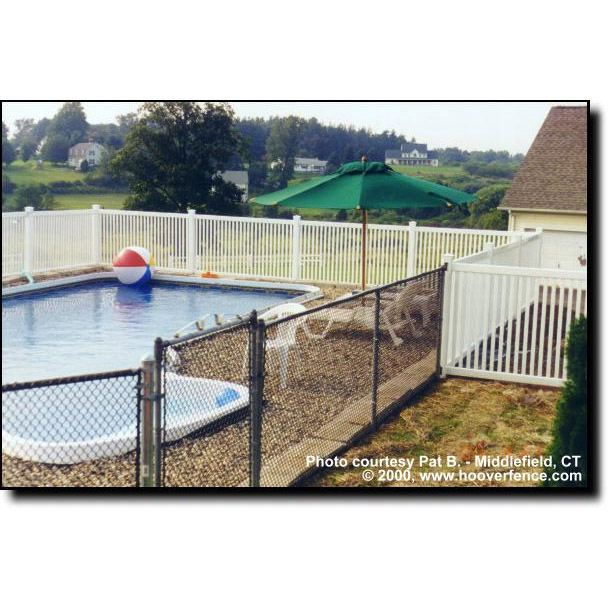 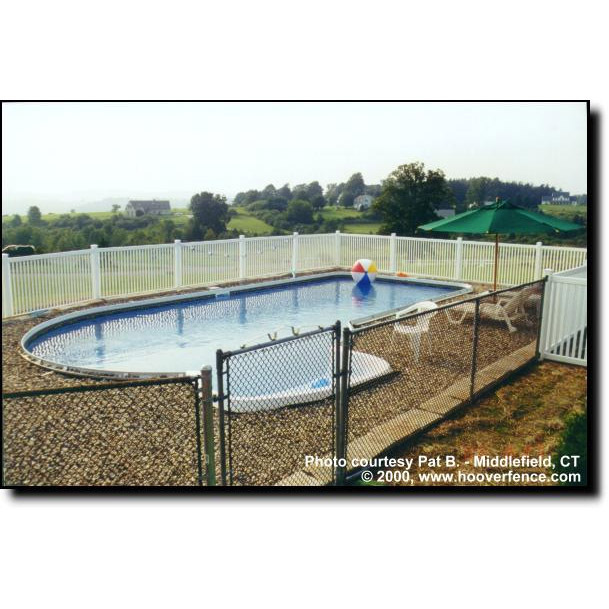 This vinyl fence in a 4' height meets BOCA pool safety codes when used with the Magna Latch. 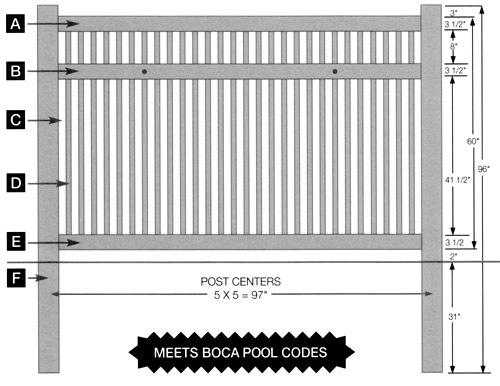 5' and 6' heights also meet most pool codes. 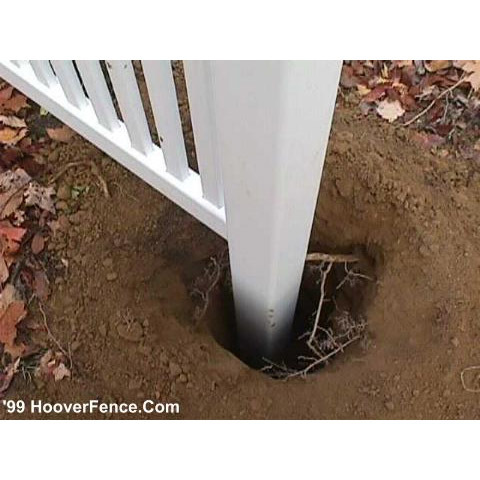 Sections are capable of raking out of square to follow grades. 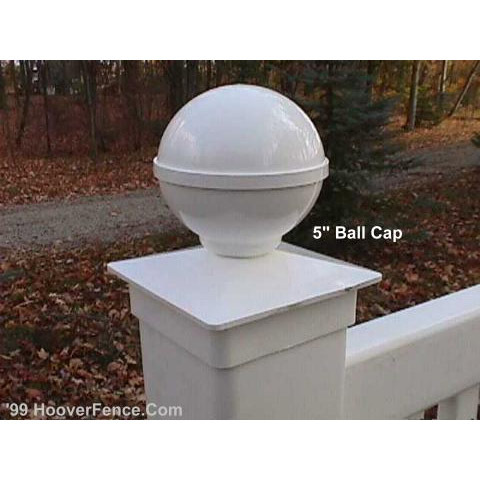 Posts and post caps sold separately. 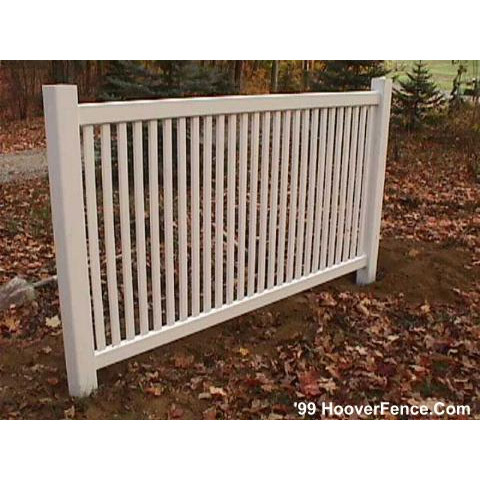 Note: Some pictures on our site may show 6' sections which are no longer available. 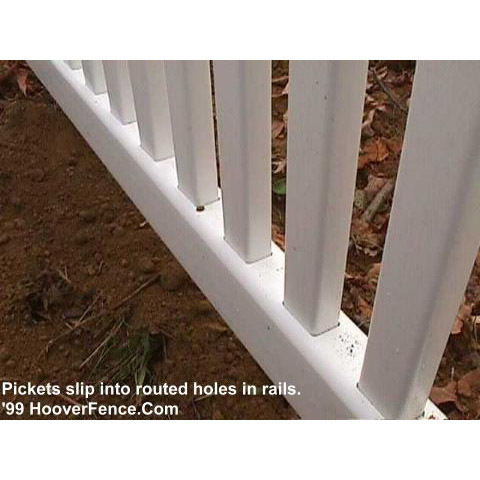 Sections measure 8' wide and have (28) 1-1/2" wide pickets. 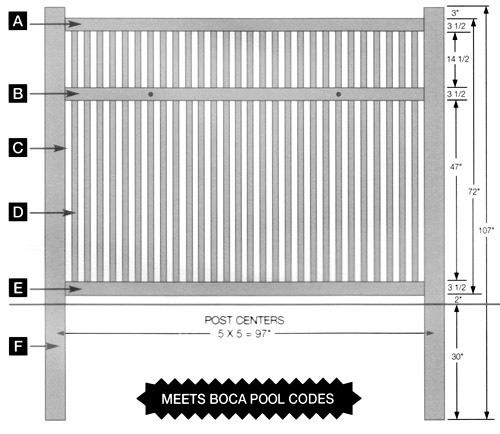 Post centers are 96" for the 4' height, 97" for the 5' and 6' heights. 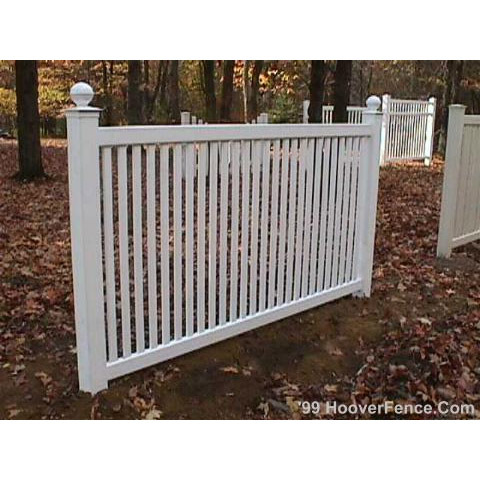 Picket Spacing (B): 29 spaces of 1-3/4"
Pickets (C): 28 pieces of 7/8" x 1-1/2" x 48"
Picket Spacing (C): 29 spaces of 1-3/4"
Pickets (D): 28 pieces of 7/8" x - 1/2" x 59-5/8"
Pickets (D): 28 pieces of 7/8" x 1-1/2" x 71-5/8"